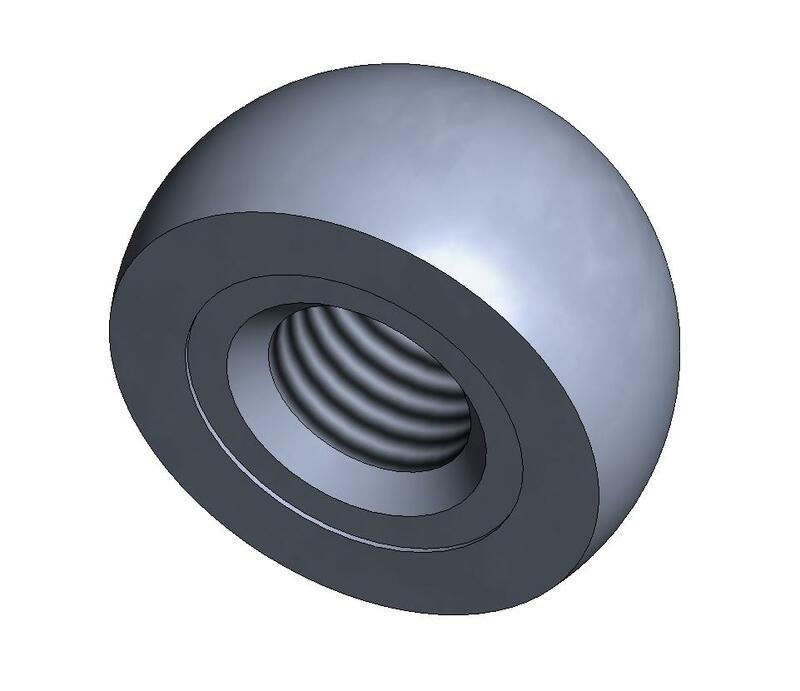 THE TRUNCATED AND THREADED BALL IS OUR MOST WIDELY USED KINEMATIC COMPONENT. BECAUSE THE BALL IS HELD FROM BEHIND WITH A MACHINE SCREW, THERE IS NO INTERRUPTION OF THE SPHERICAL SURFACE. THIS PROVIDES A SMOOTH, CLEAN WORKING SURFACE. THIS BALL IS HELD IN PLACE BY A THREADED FASTENER. 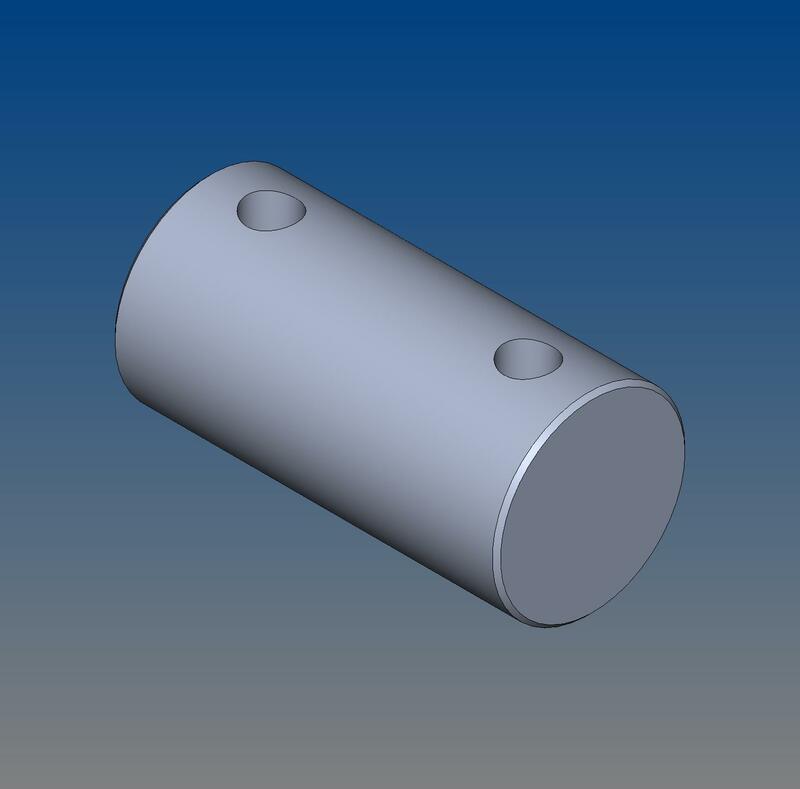 IT HAS A .005" DEEP RECESS ON THE FLAT SURFACE THAT IS MADE VERY ROUGH BY ELECTRICAL DISCHARGE MACHINING (EDM). WHEN MAXIMUM RELIABILITY IS REQUIRED, GLUE MAY BE APPLIED TO THIS ROUGH SURFACE TO FORM A PERMANENT BOND BETWEEN THIS COMPONENT, THE MACHINE SCREW, AND THE MOUNTING SURFACE. THE ANNULAR RING RESULTING FROM THE RECESS FORMS AN EXTREMELY STABLE MOUNTING SURFACE. 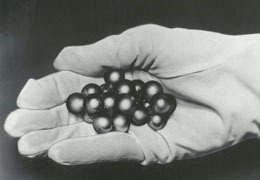 THREE OF THESE BALLS PROVIDE A VERY HIGH QUALITY SUBSTITUTE FOR A CONICAL CUP OR TRIHEDRAL CLAMP. THIS DESIGN HAS A MUCH LOWER PROFILE HEIGHT THAN A COMPLETE BALL. THESE BALLS ARE AN EXCELLENT CHOICE FOR THE THREE SPHERICAL CONTACT POINTS IN THE KINEMATIC SYSTEM.